Dietary Supplement. Benefits: This product is a combination of two joint health supplements that are popular for their supportive abilities. 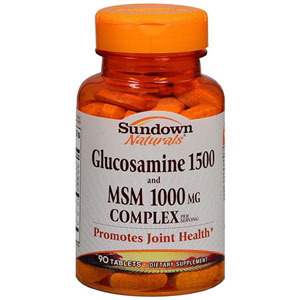 Glucosamine with MSM promotes healthy, flexible joints. It promotes long term join flexibility, comfort and range of motion to support the health of joints and cartilage over time. It is a plays a role in the maintenance of joint cartilage. Helps to maintain bone strength.